Sensifree is the pioneer of patented, low-power, RF-based sensors that collect a range of continuous health data. The company’s first sensor implementation was a heart rate sensor for wearable devices. Sensifree is now focusing on developing a cuff-free blood pressure sensor, implementing its novel RF based technology and a unique modeling of the cardiovascular system. The company is headquartered in Cupertino, CA (USA) with an R&D center in Petach-Tikva, Israel. 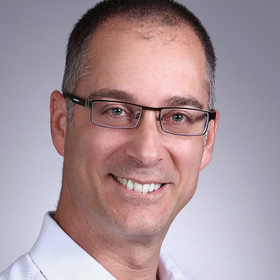 Eran is a veteran of the technology industry, with over 22 years of experience in various companies, both mature and startups, in which he held executive and senior level positions in corporate development, product strategy and marketing. Eran brings with him proven experience in developing new businesses from scratch, with strong multidisciplinary technical background. Eran holds a B.Sc.EE degree from the Tel-Aviv University. Prior to founding Sensifree Eran worked at Gilat Satellite Networks, Camero-Tech and Raysat Antenna Systems.